Tagged with Currency, Diplomacy, ELT, Turkey, US. Education agents in Turkey are expecting students to opt for affordable study destinations after a huge drop in the value of the Turkish lira, and have suggested ELT schools make compromises to keep business going. "We don't expect to see a drop in student numbers, but a change in destinations"
The Turkish lira plummeted on Friday to TL7.2 against the US dollar, before making some gains to TL6.5 on Monday. In just four working days it lost 20% of its value – it was down 40% on its value at the beginning of 2018 prior to the weekend. Turkish students will still travel abroad, although they will be more price sensitive now, according to Selçuk Atmaca, branch manager at Academix‘s Taksim Office in Istanbul. “Only people who have lots of money would not mind this crisis,” Atmaca told The PIE News. New options will open up for middle income families who previously sought out affordable options, he said. Ireland is attractive because students can work while studying, visas are easy to acquire and the market is very competitive with schools offering good promotions, he explained. Malta, which is currently not popular for long-term programs, could also be an option since it introduced legal work permits for courses lasting longer than 90 days. “Regarding academic programs – Italy, Ukraine or Poland may increase,” Atmaca said. The drop in value of the lira stems from a political dispute between the US and Turkey over Fethullah Gulen, who is accused of involvement in a failed coup in 2016. President Trump authorised tariffs on Turkish steel and aluminium, and his Turkish counterpart, Recep Tayyip Erdogan, has warned of “economic war” and called for Turks to boycott US electronic products such as iPhones. Turkey doubled tariffs on some US imports including cars, alcohol and tobacco on Wednesday, but Atmaca explained this should have little effect on the agency business, except the fluctuating value of the currencies. Students will remain attracted to studying in the US, though visas are becoming increasing difficult to acquire. “Even we see refusals from the students who have genuine visa profiles, with very good school applications in the US,” Atmaca said. Serap Aslantatar, managing director of Alternatif, told The PIE News many people in Turkey see the crisis as political, rather than economic. Immediate difficulties have arisen for agencies receiving lira in the last two weeks, and many will wait for the currency fluctuation to settle to a reasonable level to recover their losses, Aslantatar explained. Schools should offer short-term promotions such as accommodation discounts or free weeks, Aslantatar suggested, to help their agents through this difficult period. Agencies with big offerings and several destination options will be at an advantage, according to Fazil Mammadov, business development director at StudyZONE International. He added that agencies may begin recruiting more aggressively to maintain market share. If a bigger drop in students occurs, agencies may resort to adjusting their budgets, meaning decreases in staff, marketing and travel budgets, and decreases in the number of offices, he warned. Atlas, which announced it would open offices in Morocco and Poland earlier in 2018, is in a similar position, according to managing director Mesud Yilmaz. Studying in English speaking countries will be much harder, he added. The focus for Atlas now is on maintaining student numbers, though each student looking for an English speaking destination would now be more “valuable” to agencies, Yilmaz stated. “July was a good month. August will be [the] all-time worst, probably,” he said. Founder of idealist education consultancy, Onur Yaldizkaya, explained Turkish students still want to reach a good level of English for their future careers. “English language programs are still the most requested, representing over half of agency business combined,” he said. The young population, combined with the high desire for learning English, mean that overseas study will always be important for Turkish students, he noted. But he added that some had shortened their study periods or postponed plans. Meanwhile, Kerem Tekin, branch manager at United Towers Overseas Educational and Exchange Programs’ office in Izmir, predicted the agency could lose two-thirds of its business because of the fall in the lira’s value. United Towers will need partners to make adjustments after the lira’s collapse, in order to keep business viable, Tekin explained. “I believe our partners in the US, UK or EU will make some compromises if they want to keep their business with Turkey alive,” he said. Gokhan Islamoglu, coordinator at The Association of International Educational Counselors Turkey agreed that schools willing to make sacrifices will maintain their position in the market. Islamoglu also suggested that agencies could seek business from the inbound student market. Earlier this year, president Erdogan announced that the country is aiming to attract 350,000 international students. 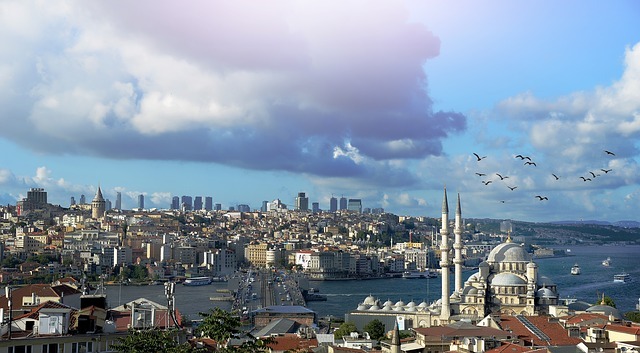 David Mitchell, managing director of Levant Education Group, acknowledged that Turkey is a “rising destination” for international students from the Middle East, central Asia and Africa. “A devalued Turkish lira will make education in Turkey better value for those students,” he said. Hasan Pehlivan, international office manager at Üsküdar University in Istanbul, agreed that following the fall in the value of the lira, living expenses will be cheaper and therefore more attractive to students from the Middle East. “Most international students who prefer to study in Turkey, are coming from Middle East countries such as Iraq, Saudi Arabia, Jordan, Kuwait, Lebanon,” he explained.